What is Eaoron Crystal White Brightening Cream? As per the manufacturer details, This product is brought to you by Eaoron, an Australian skin care brand well reputed for formulating products that are mostly made with natural ingredients that will neither compromise your skin health nor general well-being. The brand provides affordable natural skin care products and is used by A-list public figures in Australia. Eaoron Crystal White Brightening Cream– Does It Really Work? 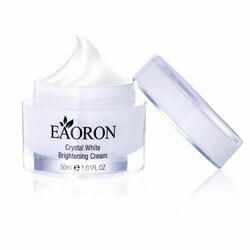 What Are The Ingredients In Eaoron Crystal White Brightening Cream? How To Apply Eaoron Crystal White Brightening Cream? Does Eaoron Crystal White Brightening Cream Have Any Side Effects? Eaoron Crystal White Brightening Cream AU $39.95 for every 50 g jar, is a multi-benefit day time moisturizer that includes lightening dark spots and promoting overall skin radiance as a top advantage. Eaoron Crystal White Brightening Cream — Does It Really Work? 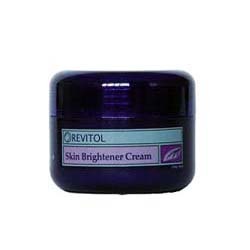 Significantly moisturizes and rehydrates your skin, causing your skin to appear fuller, denser, plumper and healthier. Restores your skin’s natural ability to hold moisture. Improves your skin’s fiber structure and surface texture, making your skin more resilient to internal and external factors that damage and age your skin. 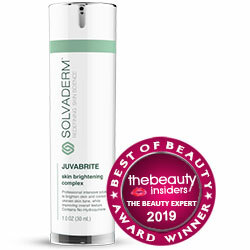 Boosts your skin’s Vitamin C content, providing better protection as well as promoting more radiant overall complexion. Hyaluronic Acid: It acts as a moisture magnet, drawing moisture towards your skin as it simultaneously enhances your skin’s naturally powerful capability to hold on to moisture over longer periods of time. However sometimes it causes redness, and itching on skin. Hydrolyzed Collagen: It is enriched with amino acids which your skin requires to deliver multiple cellular level processes involved in skin repair, regeneration and renewal. White Tea Leaf Extract: It contains significant amounts of antioxidants that protect skin cells from permanent damage that compromise their ability to efficiently and effectively deliver skin repairing, rejuvenating, and regenerating mechanisms. Apple Fruit Extract: It acts as a natural astringent that helps exfoliate dead skin cells while simultaneously enhancing your skin’s overall tone and radiance. Kakadu Plum (Terminalia ferdinandiana) Fruit Extract: It has very high antioxidant content, seriously reviving dull and tired skin as it helps draw out toxins that make your skin appear unhealthy. Apply Eaoron Crystal White Brightening Cream as part of your morning and evening skin care routines. Eaoron Crystal White Brightening Cream is formulated with Australian ingredients that are certified organic. This product has been guaranteed by the manufacturer to be made with ethically sourced ingredients but it may cause redness, and itching on skin. Over 90 percent of its components come from naturally harvested ingredients. This product appears to have a limited distribution network whether online or in physical stores, and is likely not available in many geographies, particularly outside of Australia. Eaoron Crystal White Brightening Cream reviews are severely limited, providing very little information about users’ collective assessment concerning this product’s performance relative to results. This product is significantly more expensive than most other drug store creams that benefit your skin with enhanced moisture and radiance. This formula contains Hyaluronic acid which may cause redness, and itching on skin. Skin irritation and allergic reactions due to several ingredients, including fragrance ingredients and denatured alcohol, both of which can cause permanent damage to your skin with long term and constant exposure. Increased risk for clogging skin pores and skin infections due to silicones. Increased risk for nerve and brain damage due to phenoxyethanol, a neurotoxin used in this product as a preservative. Even with its full list of ingredients laid out, based on third party sources, it’s hard to understand how Eaoron Crystal White Brightening Cream can benefit your skin. Most especially when one observes phenoxyethanol listed as the fifth ingredient and its primary ingredient, Kakadu plum, listed as the third component from the end of the list. This product do not offer money back guarantee.